S and C started care with me in the first trimester of their pregnancy. The first trimester passed beautifully and at 11 weeks gestation we heard the beautiful sound of a heart beat running in the 160s. A beautiful moment for all since S had endured loss of her previous pregnancies and never got to hear the sweet heart beat. S’s pregnancy progressed beautifully. She researched and prepared well for her home birth, took Bradley classes and hired a doula. Her due date came and went, but it did not phase her. At 41.1 weeks along, S text me around 1pm on the afternoon of the 5th stating she thought her water might have broke. We chatted for a bit and determined that it did indeed seem like her membranes had ruptured. S was not having any contractions, so we decided naps for everyone would be a good plan for the mean time. I went over to check on S around 6pm. Vitals were perfect. Cervical check found S to be 4cm dilated, 90% effaced and baby was engaged at a 0 station. I felt around baby’s head and was able to release pockets of fluid. Getting rid of those pockets of fluid seemed to do the trick. S was having a few contractions when I headed out, and text me an hour later that she was aware of them. By 8pm, S was texting with more regular contractions and vomiting. Soon after, she requested her doula to come. Right at 10pm, S asked me to come. Her doula and I walked in at the same time, finding S breathing and moaning through contractions that seemed to be coming every 3-4 minutes. Things were much more active than we had been expecting! I immediately began running water into the birthing pool, and added air to the rings of the pool as S and C and their doula worked through each contraction. Soon, we did a check and found S to be 7cm dilated, 100% effaced and baby at a +1 station, which explained why S was feeling some pressure in her bottom. Everyone was excited and happy to hear about the big change that happened in four hours! As 11pm neared, S sunk into the warm water of the birthing pool, and found the contractions much easier to cope with in the birthing pool. My apprentice was on her way, but I also called over one of my dear birth assistants just in case S delivered much quicker than anticipated! As midnight drew near, it was obvious we had entered transition as the contractions were on top of each other. S leaned over the birthing pool, holding onto C, as her doula provided counter pressure on her sacrum. At some births, you can literally see the bulge of the baby’s head in mom’s back. The counter pressure on that bulge helped immensely with the pressure that S felt with each surge. Soon S stated she was feeling lots of pressure. She leaned her back into the seat in the birth pool, providing her own counter pressure. At half past midnight, I did a quick exam and found S to be left with just an anterior lip of cervix and baby at a +2 station. Ten minutes later, S was completely dilated. It took a few contractions to get comfortable with pushing. For awhile S pushed semi reclining, having help with holding her legs back. After a while, she moved and leaned over the tub to push in a hands and knees position. Contractions spaced a bit to every five minutes, giving S time to rest, hydrate and build up her energy for the next round of pushing. Soon, with every push, we could see a little bit of the baby’s head. S stretched out her legs and got back into the semi reclining position. I talked with S about the possibility of needing to get out of the pool and try pushing in her bed or on the toilet. I got the look of determination. With the next push, a clementine sized amount of head stayed at the perineum. S felt the baby’s head and pushed with even more determination. She was ready to hold her baby. Over the next three contractions, more of the head began to crown. The next contraction brought the head, and then the body followed soon after. I somersaulted the baby out of her nuchal cord and S helped bring her baby to her chest. She immediately looked around and began to cry. We got mom and baby to the bed. Gracelynn got breastfeeding down right away and proceeded to nurse almost the entire immediate postpartum period. She was quite comfortable on her mama’s chest. 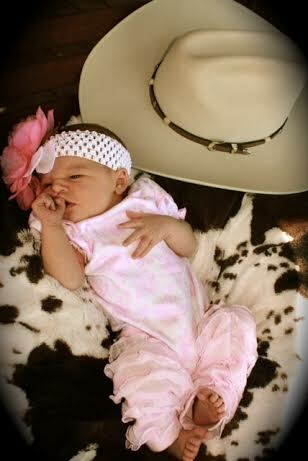 Welcome to the world Gracelynn Rose, born on April 6, 2014 at 2:12am, weighing in at 8.0#, 20″ long. So honored to have been part of S and C’s pregnancy and labor journey.